Are You Ready for Lubuntu Next 18.04? They said "[...] we are working towards it (and progress is being made), we don't want to jeopardize our userbase by shipping something that isn't quite perfect yet." on the This Week in Lubuntu Development #1 published April 2, 2018, to answer why they still haven't migrate Lubuntu to LXQt. And they said before that "[...] If you install Lubuntu Next 18.04 (which you can grab a daily ISO of right now but won't actually be released), a lot of things won't work well quite yet [...]". And the most important thing is "[...] but won't actually be released [...] It will stay unofficially supported,[...]". So we should be prepared by the fact that Lubuntu next maybe developed but not officially released nor supported as a normal distro although you can download the daily ISO. 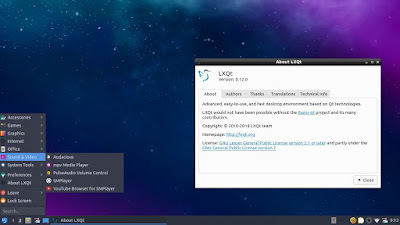 Lubuntu Next is actually an experimental distro (almost similar to KDE neon) for now. These words are important to note because really Lubuntu Next is still a testing distro (although it's pretty interesting, read below), it will not be an LTS version, and it will not be officially supported. 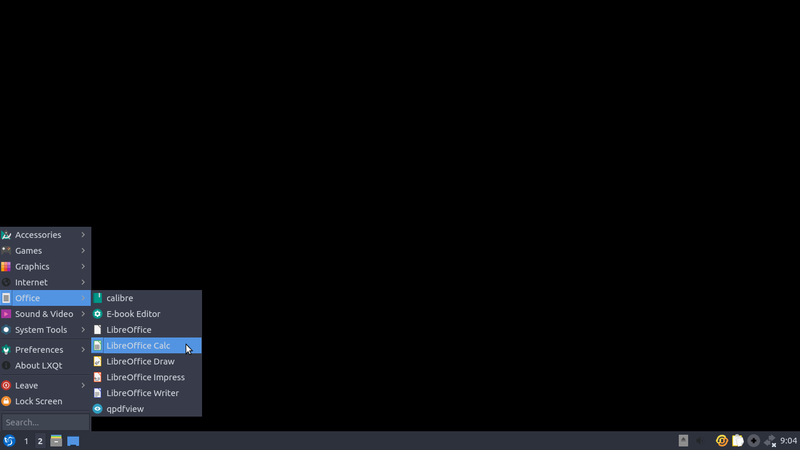 Here's the basic appearance of Lubuntu Next 18.04 from the beta 2. 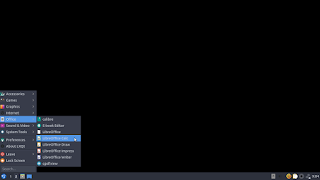 But, actually, the original first time login the wallpaper is blank like picture below. The wallpaper on picture above is located at /usr/share/lubuntu/wallpapers/. 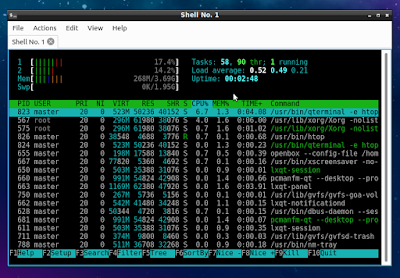 Lubuntu Next 18.04 beta 2 takes around 260MiB of RAM at idle after freshly installed on my laptop. This is according to the Htop program included by default. Compare this to the beta 2 of Lubuntu 18.04 (~230MiB) and Kubuntu 18.04 (~370MiB). LXQt is a new thing for many Ubuntu users. 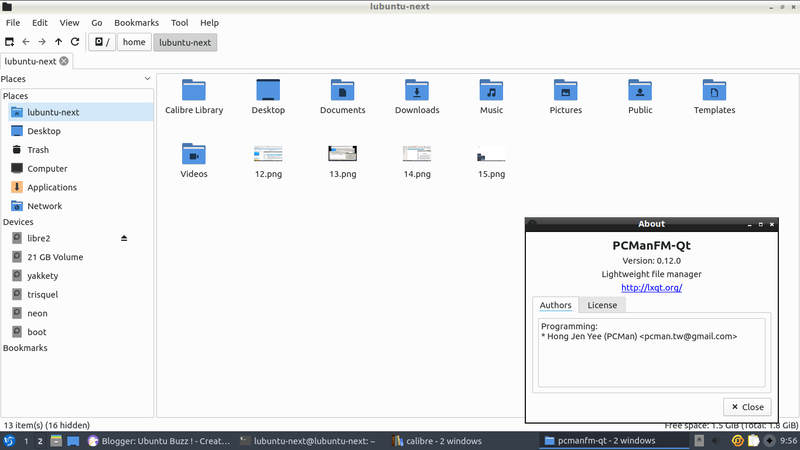 So this is a picture showing summary of all categories of Lubuntu Next's menu. 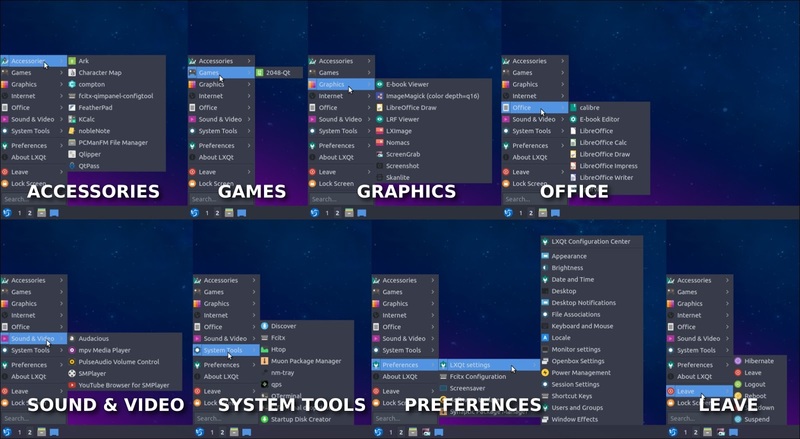 This picture should give you basic idea of applications included in Lubuntu Next, for example, Ark Archive Manager under Accessories category and SMPlayer Multimedia Player under Sound & Video. Do you know PCManFM? 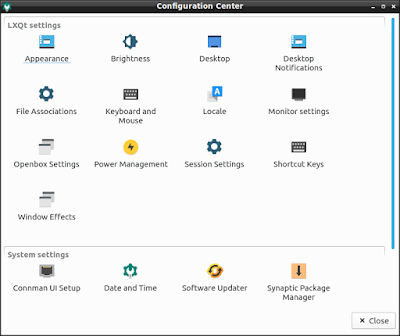 Do you know its little brother, PCManFM-Qt? It's a new version which is re-created (ported) with Qt Framework so it has a -Qt addition on its name. 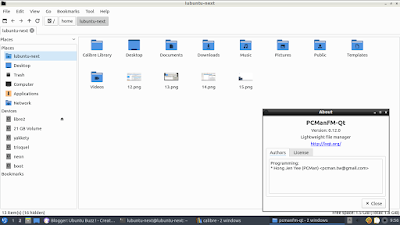 This is the default file manager of Lubuntu Next! 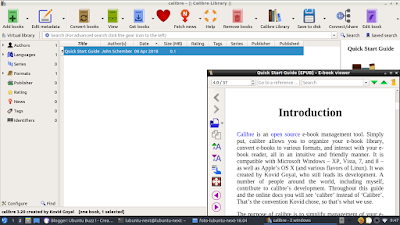 The browser is Falkon (formerly QupZilla), the office suite is LibreOffice, and the applications including amazing free software like Thunderbird Mail Client, Calibre Ebook Reader and Qpdfview, mpv and SMPlayer, LXImage and Screengrab, Ark Archive Manager and FeatherPad Text Editor, and many more. This combination of applications is new thing in history of Lubuntu itself and even in Ubuntu's. 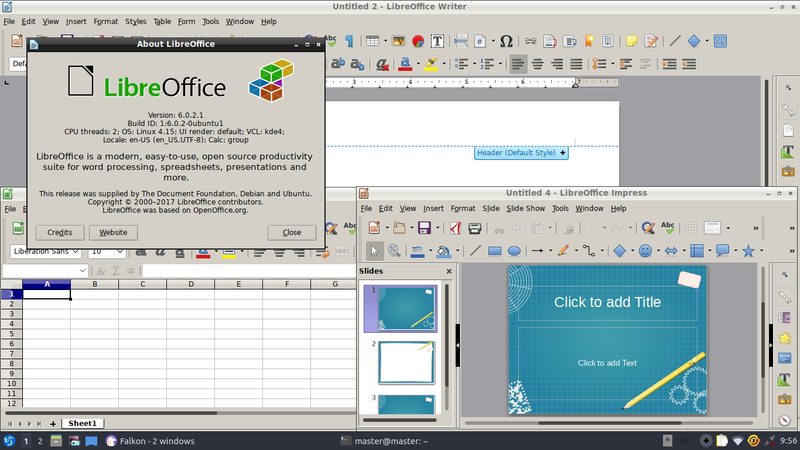 Here's LibreOffice 6.0 screenshot with Writer, Calc, and Impress showing together. 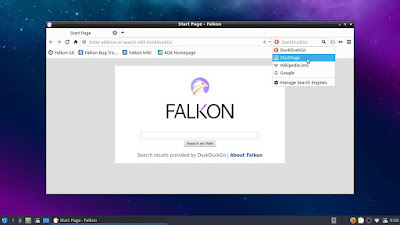 Lubuntu Next is a good chance for you trying Falkon Web Browser, a rebranded QupZilla after its acceptance to be an officially KDE Application. 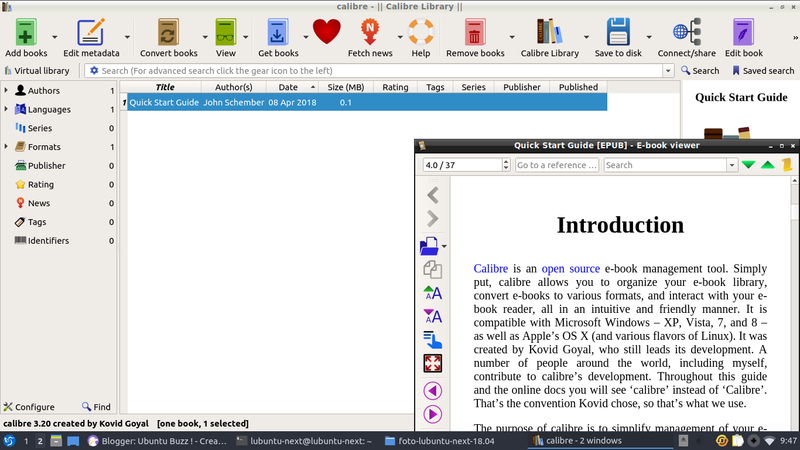 And it's unique for Lubuntu Next to have Calibre preinstalled. This means it is ready for reading your EPUB/MOBI digital books and managing your ebook devices! 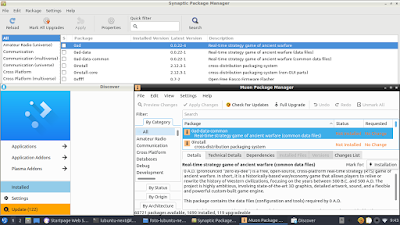 The beta 2 features Synaptic, Muon, and Plasma Discover, three tools you could choose any to help you install software on it. 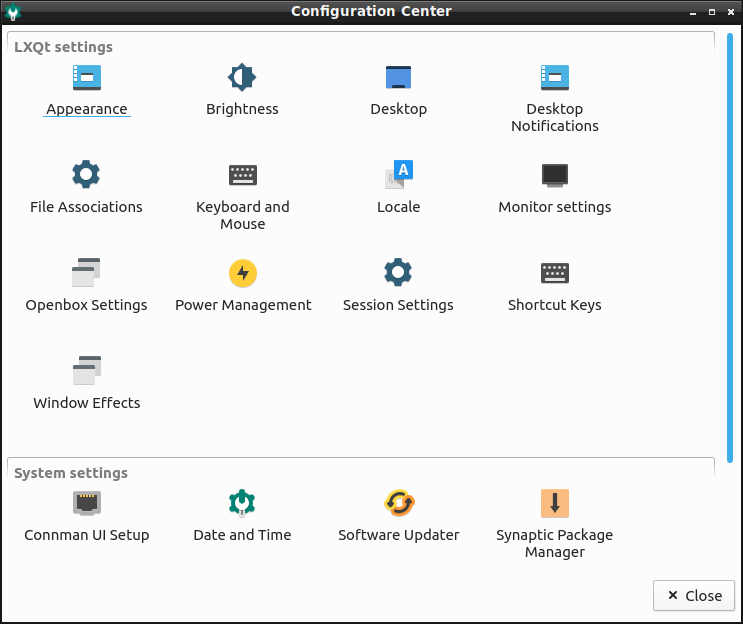 Lubuntu Next has a control panel in a single window. 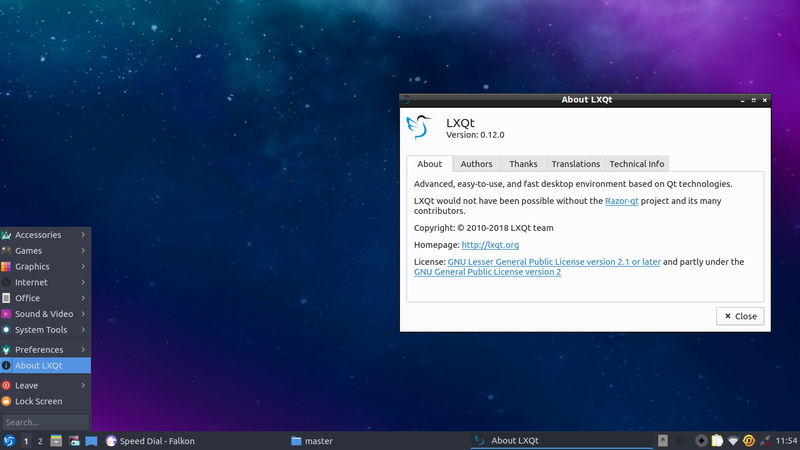 It's located on the menu > Preferences > LXQt Settings > LXQt Configuration Center. So be prepared if you want to try Lubuntu Next. It's still under development but it's lightweight and looks promising. It has some problems but for those love testing, it's very interesting new distro, a new Lubuntu derivative with new user interface and a unique set of applications. And finally, its memory usage is so low, almost similar to Lubuntu 18.04 beta 2 itself (which is only ~230MiB), so Lubuntu Next could be considered as a full-featured Lubuntu alternative within its lightweight league. This article is licensed under CC BY-SA 3.0.